The recent energy crisis has combined with the revolution of social media to produce a wide variety of solar blogging sites. Blogs are more than just online journals kept by individuals; they have become the voice of citizen journalists all over the world, bringing information and disinformation to the people on a wide variety of topics. Solar energy blogs range from informational corporate sites to personal accounts of people trying to live green. To give a range of the types of sites, here are five active blogs that cover the spectrum of business to personal. Run by the self-proclaimed "Little Miss Sunshine," a resident from the Great Lakes region of the U.S., Sun Powered Dreams is a personal account and soapbox for the experiences and opinions of the author. Combining an awareness of current events and developments in solar energy with a ready wit and a first-person writing style, this blog is as entertaining as it is informative. When you read this site, it feels like you are having a personal discussion with an interesting individual. While it's also a personal blog, the Sun Volt Solar Blog represents a different genre of solar blogging sites. Written by an independent solar installer, this blog gives a visceral look at the struggles and triumphs of a small businessman. With entries like "Ten Senators I'd Like to Thank" and "Coal Power, Our Competitor" as well as more informative entries such as "How Long Do Solar Collectors Last?" this site is a wealth of both objective and subjective information. More of an informative site than an actual blog, this site acts as a newsfeed for other content and news on the web. With many links to external sites as well as an up-to-the-minute grasp of current events in solar energy, the site does not actually have a very personal viewpoint, and keeps a very dispassionate tone. 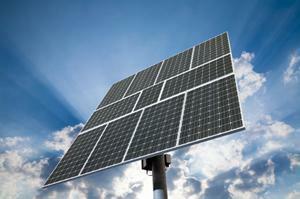 The site is a strong advocate for solar power and an excellent way to keep track of developments in the solar industry. As can be seen from the examples above, the only requirement to a successful solar blog is the same as that of any blog: passion about the subject. Many different blogging sites such as Livejournal and Blogspot will give you your own forum to express your views. One of the drawbacks of these are that they usually require you to have their company name in the title of your blog - such as "YourSolarBlog.livejournal.com." Other sites such as Wordpress and Typepad make it easier to put your individual name on the website by facilitating the purchase of a domain name, or even providing open-source software to put the application directly on your own server. Whether you are a concerned individuals or a dedicated and highly invested business person, there is a need for your voice in the family of solar blogging sites.